If you’ve been dreaming of freshening up your home with some new, unique homewares but just don’t have the cash, we’ve got good news for you. There are ways to redecorate your home without blowing your budget. We’ve tracked down the top five spots to pick up a bargain, so you can make those changes to your décor and save money at the same time. Get out of the house and visit as many op shops as you can to seek out some inexpensive finds. No matter if they’re charity run – like Vinnies or the Salvation Army – or an independent vendor, they’re super easy to locate. Just hop online and do a quick search for opportunity stores in your local area. Just remember that the best pieces of furniture don’t stick around in op shops for long, so if you fall in love with something, make the purchase. On the other hand, if you don’t find anything that tickles your fancy during your first rummage around, don’t give up. Drop by again the next time you’re free – op shops are always getting new stock, and you may just need to drop by at the right time to find the perfect item for your home. Why splurge on that fancy table or living room set when you can get all your essentials at a fraction of the price? 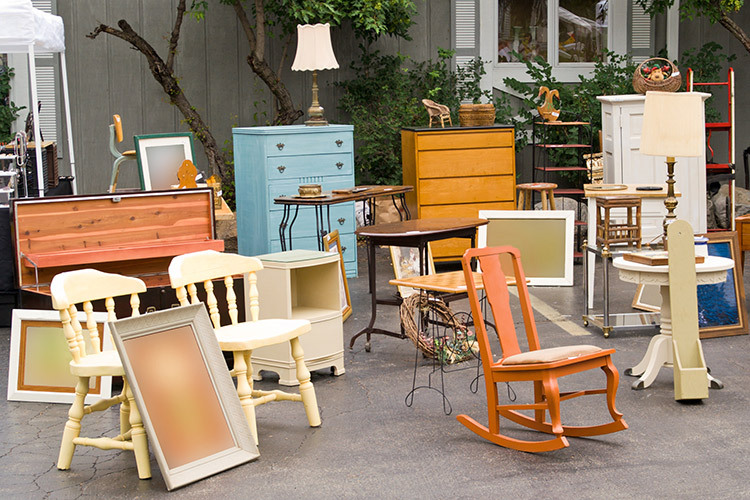 You’ll be surprised by how many great things you can find at local garage sales that also have the potential to make your place feel like a real home. Plus, you can’t beat the joy of finding unique preloved pieces with years of use left in them, as well as saving quality household goods from an unnecessary trip to the tip. From old lamps to chairs to bookshelves, someone else’s trash can be your treasure. Just keep your eyes out for signs around letting you know there will soon be a sale in your neighbourhood. And don’t be afraid to haggle for that extra little saving – every bit counts! Do you have high standards but don’t want to pay the prices for brand names and designer labels? Then it’s time to talk the talk. First, try go into your favourite furniture shops and ask if they have any floor sample pieces looking for a good home. Why? Because some furniture stores actually sell floor models with huge reductions. This usually happens when retailers want to shift discontinued collections or slightly worn pieces that have been out on display. You can head to the chain stores, like Freedom and Domayne, or just head to your local homemaker centre and try your luck. Alternatively, visiting second hand furniture retailers are a great place to find bargain furniture, especially if you’re into antiques. “If you want second-hand then I’ve recently been introduced to ‘Buy Swap Sell’ sites all around the place – I love the thought of being able to re-use and re-purpose pieces and create a more eclectic statement in your home with a balance of old and new items. If you’re looking for super-affordable pieces of furniture that you can take home in an instant, have a wander around some of your neighbourhood markets. One of the best things about roaming furniture stalls instead of furniture stores is the fact that you can come across some fabulously quirky antiques, one-off handmade pieces and chic vintage items – all in the one place! These places are like treasure troves where amazing deals are to be had, and most markets are brilliant for spotting retro-design furnishings. So the next time you’re after something cool to decorate your home, head down to a market. Just remember to go in early to get the best selection – that’s usually 8:00 or 9:00am for most markets. Think carefully before you throw anything out, as you can repurpose modern furniture for your vintage lifestyle and vice versa. 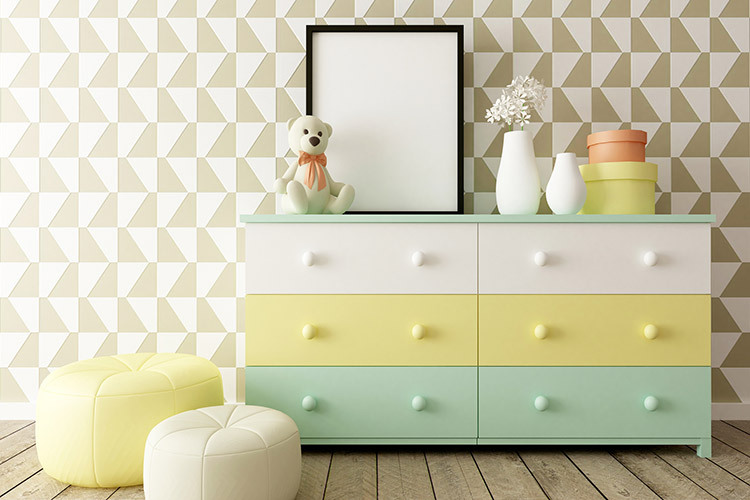 One of the quickest and cheapest ways to funk up your home is to jazz up your old units, tables, chests and anything else you have lying around. Whether you use paint, upholstery or something extraordinary, it’s fairly easy to repurpose your items into new and improved pieces. It’s also fun, very rewarding and a fantastic way to customise your home. After all, nobody else will have anything like an item you crafted yourself! 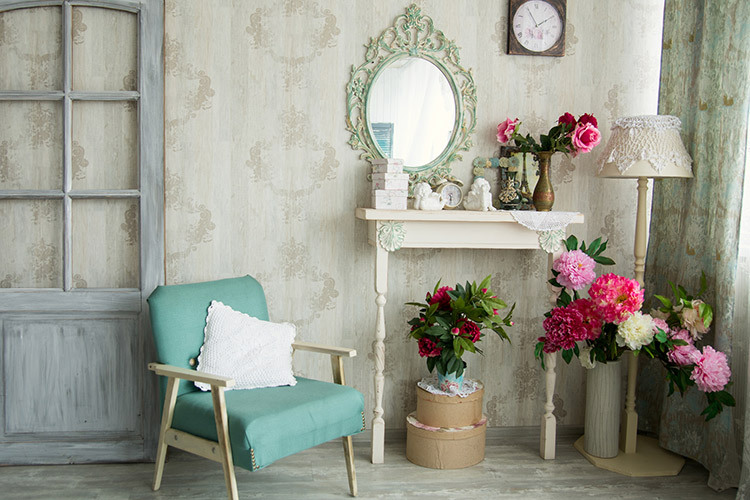 If you’re not sure where to start, choose a small project to begin with – perhaps painting a small second-hand side table or sewing a pair of curtains. You’ll be able to find the tools you need at hobby shops and craft shops. Of course, if you don’t have time to DIY, you can enlist the help of a professional – just check out upholsterers like The Upholsterer Sydney, restorers like Eastern Suburbs French Polishing, and so on in your area. It’s so easy to save money on furnishings when you know how. If you’re keen to learn more, there’s always interesting articles on our home improvement blog.